The Nazis are, undoubtedly, the most nefarious political party in history. As the ruling party in Germany from 1933 to 1945, the Nazis were involved in some of the most inhuman acts conducted by an organized group. Racism was the norm as Hitler believed that the Nordic race was superior to all other races. Jews were particularly targeted by the deranged Nazi government and subjected to all manner of torture. The Nazi were also involved in many chilling human experiments that led to the conviction of several doctors long after the Nazi were toppled from power. 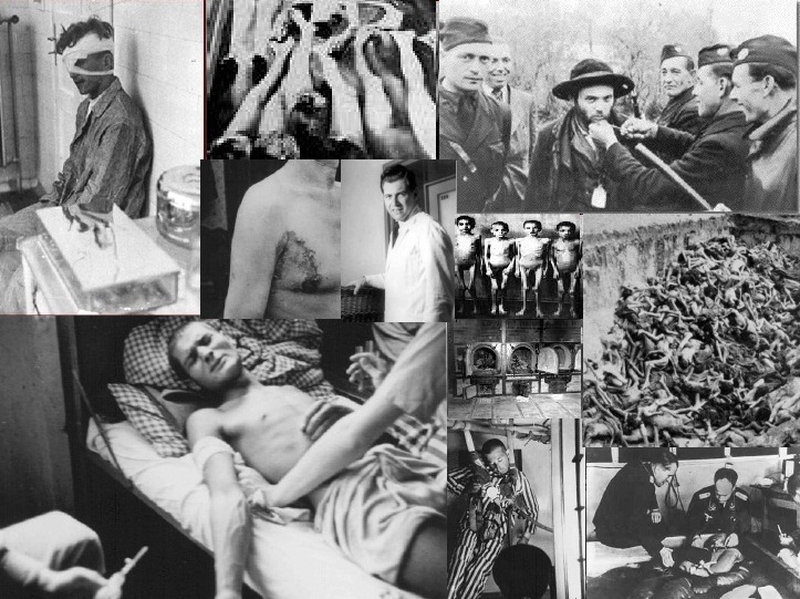 Below are 10 of the worst Nazi experiments conducted on human beings. The list below goes over some of the most shocking Nazi experiments. Some of them are quite disturbing, so proceed with caution. From 1943 to 1944, Josef Mengele conducted experiments on twins in a bid to discover their genetic similarities and differences. The experiments were conducted on 1,500 sets of twins who were imprisoned in Auschwitz. Only 200 of the 1500 survived. The experiments included the injection of dyes into the eyes of the twins to determine whether it would change their color and sewing twins together in a bid to make conjoined twins. In a bid to find out what the most effective cure for wounds caused by mustard gas, prisoners held in Sachsenhausen, Natzweiler, and several other camps were exposed to mustard gas at various times from 1939 to 1945. The gas inflicted chemical burns on the test subjects. Tests were then done on the inflicted wounds to find out what the best treatment was. This was one of the most heinous Nazi experiments. The freezing experiments were done in order to prepare their army men for the cold temperatures on the Eastern front. Many Nazi soldiers had died due to the freezing temperatures when facing Russian forces. During the experiments, test subjects were dipped into a vat of freezing cold water. Most of the victims died or at least lost consciousness when temperatures of their body reached 25°C (25° F) or less. The torture did not end there. Those who did not die from freezing were resuscitated using gruesome methods. These included being thrown into hot baths, burning sun lamps and having women copulate with unconscious male victims. The worst of them all was internal irrigation, whereby victims had boiling water forced into the bladder and the stomach. Towards the end of the Second World War, the Nazis became very interested in incendiary weapons. These are bombs that contain phosphorous and are capable of causing extreme destruction. Phosphorous causes serious injury and horrific burns, and bombs containing this element can cause deep 3rd degree burns as it usually sticks to the skin. Nazis tested the effects of incendiary weapons on prisoners at the Buchenwald concentration camp, causing untold suffering. The Nazi conducted malaria experiments on 1000 victims during World War II. In these experiments, healthy subjects were either injected with malaria or exposed to malaria to get infected, causing mosquitoes. Father Leo Miechalowski, one of the few survivors, gave an account of his experience. He wrote that he felt as if his heart was being torn out. He became insane and totally lost his ability to speak. Doctors would continually inject the victims with malaria to ensure the disease stayed in their blood. Half of the test subjects succumbed to the disease. Sea water was one of the areas of interest for the Nazi. They wanted to find out whether their soldiers could survive on sea water. In one of the most horrific Nazi experiments, they used 44 subjects. They were divided into four groups and each was given one type of water - sea water, sea water without salt, no water at all, and sea water processed by the "Burka" method. All the victims were punctured in the liver or spinal cord to aid in data collection. During this time, they were not allowed any food. Most of those who were taking salt water died after experiencing violent convulsions, diarrhea, hallucinations and madness. At some point between 1943 and 1944, the Nazi decided to experiment with poisons. The experiments were conducted in Buchenwald where poisons were added to the food of the test subjects. Many of the victims died or were killed immediately after consuming the poison to allow for autopsies. In 1942, Sigmund Rascher conducted high altitude experiments on 200 subjects. The experiments were supposed to help German pilots who needed to eject at high altitudes. Prisoners were put in a high pressure chamber to simulate the conditions at 66,000 ft. Rumor has it that those who survived the chamber had their brains operated on. Everybody who participated in the experiment either died or was killed, making the experiment one of the most brutal and monstrous Nazi experiments ever. This experiment was ordered by none other than the infamous Heinrich Himmler. He wanted a Nazi doctor (Dr. Carl Clauberg) to perform artificial insemination on some prisoners though a variety of experimental methods. Dr. Carl performed artificial insemination on 300 women. During the experiment he taunted them by telling them that he had inseminated them with the sperm of an animal. The last one on our list of human experiments conducted by Nazi is transplantation experiments. Between September 1942 and December 1943, transplantation experiments were conducted at the Ravensbrück concentration camp. This was done in a bid to study muscle, bone, nerve regeneration and bone transplant from one person to another. Without using anesthesia, parts of muscles, nerves and bones were removed from the victims. Most of the victims suffered extreme anguish and permanent disability.